The best way to reduce breakdowns and minimize costs in the long-term is establishing and sticking to a structured planned maintenance schedule. 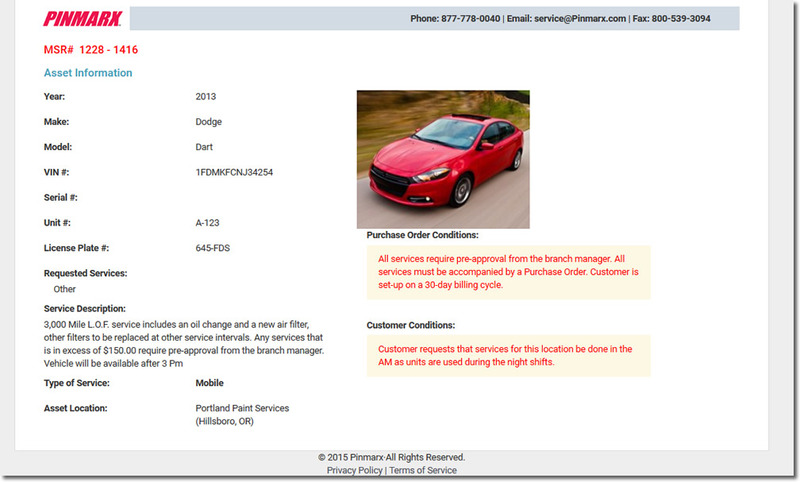 Customizable and flexible, our system allows fleet managers to create and automate their maintenance plan. Pinmarx Connect offers the industry’s first e-commerce platform to make ordering services simple. Our technology allows fleet managers to give instructions directly to the technician that will be on-site for repairs or maintenance. Choose how and when you want repairs and maintenance done. Pinmarx customers can request both mobile and shop services and choose the times and dates most convenient. 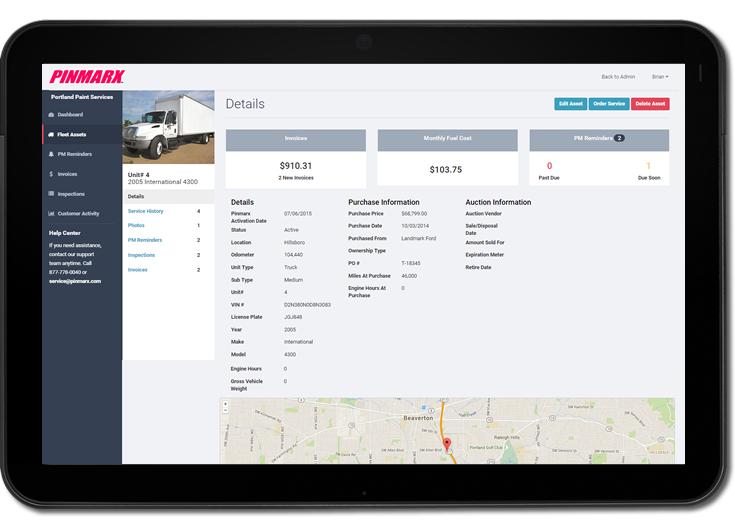 Pinmarx Connect makes tracking repair histories and costs easy. 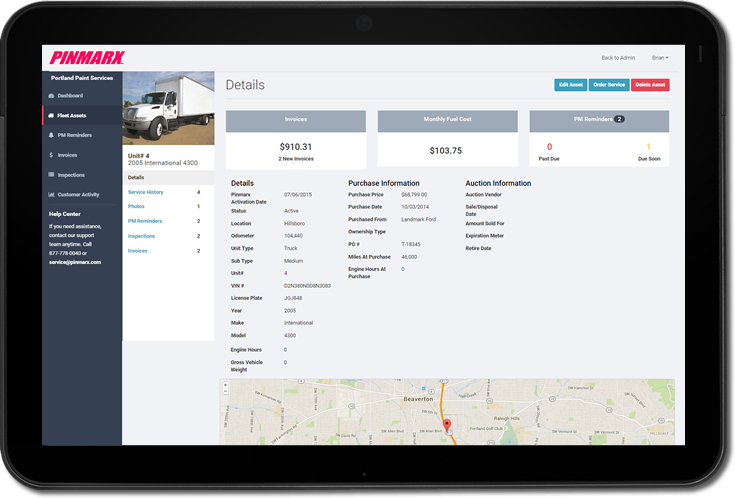 Any service ordered through Pinmarx is archived and tied to the asset, providing a simple platform for fleet managers to refer back to service details and eliminate paper trails. 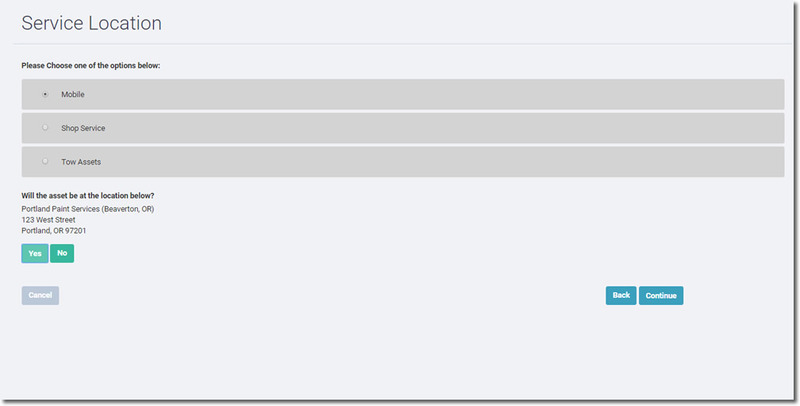 Our system includes a GPS option. For light and medium duty vehicles, our GPS units connect directly into the OBDⅡ port. 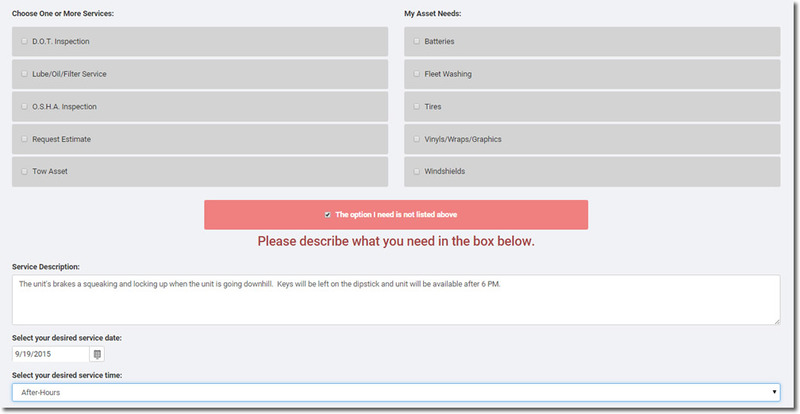 Simply plug the device into the vehicle and instantly transmit asset information to Pinmarx Connect’s database. Track your asset’s real-time location and use the odometer readings to power your maintenance schedules. 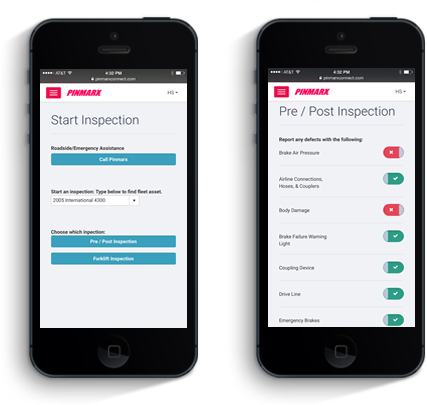 Drivers and operators can use Pinmarx Connect to do daily inspections for both vehicles and forklifts. We use this process to not only maintain a healthy safe fleet, but can use the odometer inputs to power a fleet’s maintenance schedules. Fleet managers receive an email in their inbox when defects are noted to ensure that vehicles are in safe operational condition.